The First UK Habitat Conservation Stamp. 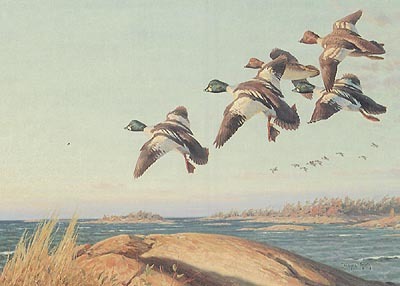 "Pintails over the East Light, on the Wash" by Rodger McPhail. The 1994-95 UK Habitat Conservation Stamp. "Mallard, Afon Dyfi" by Terence Lambert The 1997-98 UK Habitat Conservation Stamp. 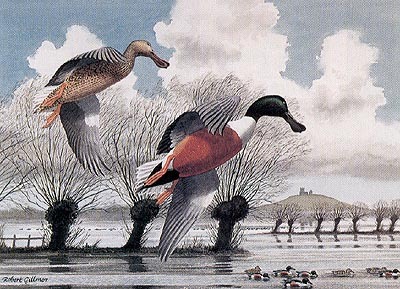 "Shoveler, Somerset Levels" by Robert Gillmor. The 1998-99 UK Habitat Conservation Stamp. "Long Tailed Duck, Blackwater Estuary" by Keith Shackleton. 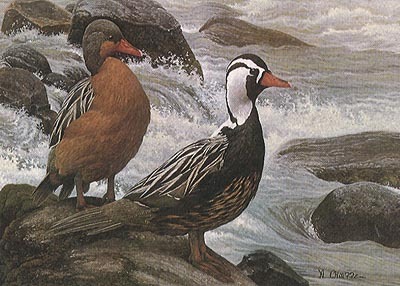 Colorado Duck Stamp Print. 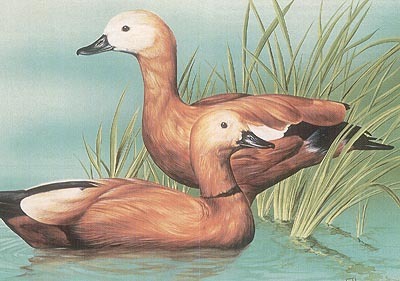 "Cinnamon Teal" by William L Border. 1997 New York Migratory Bird Program. "Morning Repose" by Raymond J Easton. The 1997-98 Federal. 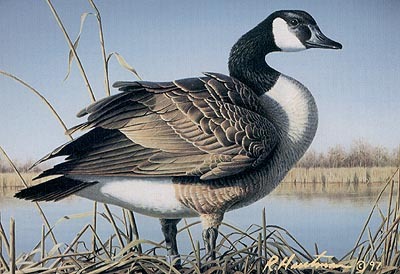 The Canada Goose by Robert Hautman. 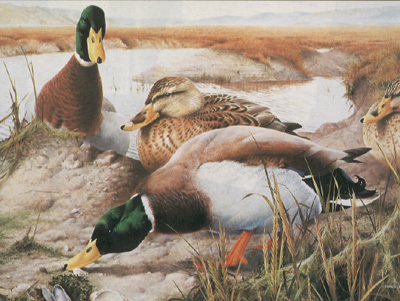 50th Federal Duck Stamp Artist. 65th Anniversary 1998 Federal. 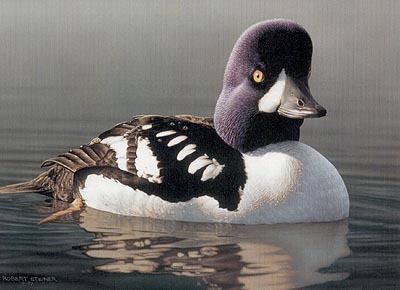 Barrow's Goldeneye by Robert Steiner. 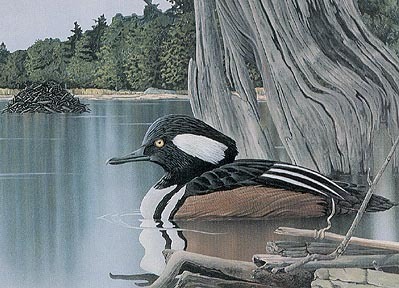 1996 Canada Wildlife Habitat Conservation Stamp by Dwayne Harty. 1994 Argentina First of Nation by Aldo Chiappe. Spain 1996 First of Country by Conrado Tejado Lanseros. 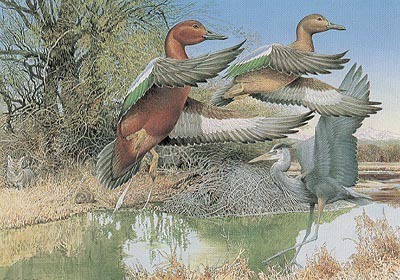 1992 First of Nation Russia Duck Stamp. "Russian Smews" by Ivan Kozlov.